Hi, I'm Rian and I'm a Kleptogamiac. I'm a game collector but also an achievement hunter and a completionist. Due to the size of my Steam library and my playstyles, games with achievements are my priority. I don't have anything against games without achievements but something has to tip the balance when choosing my next game. Z97 // i5-4690K // GTX 1050 Ti 4GB // 8 GB RAM. Completed: I've unlocked all of the games achievements. Games without achievements will go here when I'm happy I've experienced everything the game has to offer. Beaten: I've completed the storyline but still achievements to unlock or other content to explore. Unfinished: I've started playing the game but have yet to finish the storyline. Most endless games will reside here. Never Played: I've not yet played these games at all. This will also include games that have just been idled for cards. Won’t Play: Demo's, beta's, videos, DLC's, software, tools, duplicate entries, VR exclusive titles. Unlock an achievement in every game I own, or at least as many games in which it’s possible to do so. As Steam’s profile showcases are now effectively worthless all stats will be taken from completionist.me which is the most accurate of all the trackers as far as my own stats are concerned. Games with achievements - This includes all games that have achievements that my account holds a license for, including free and family shared games. Games in progress - Games that I have unlocked some but not all achievements in. Games started - Games in progress + Perfect games. Games untouched - Games with all achievements locked. …back again. Dakota’s back, tell a friend. My new GPU (Asus Expedition GTX 1050 TI) has just arrived and been installed so now I can finally get back to actually beating my backlog into submission. 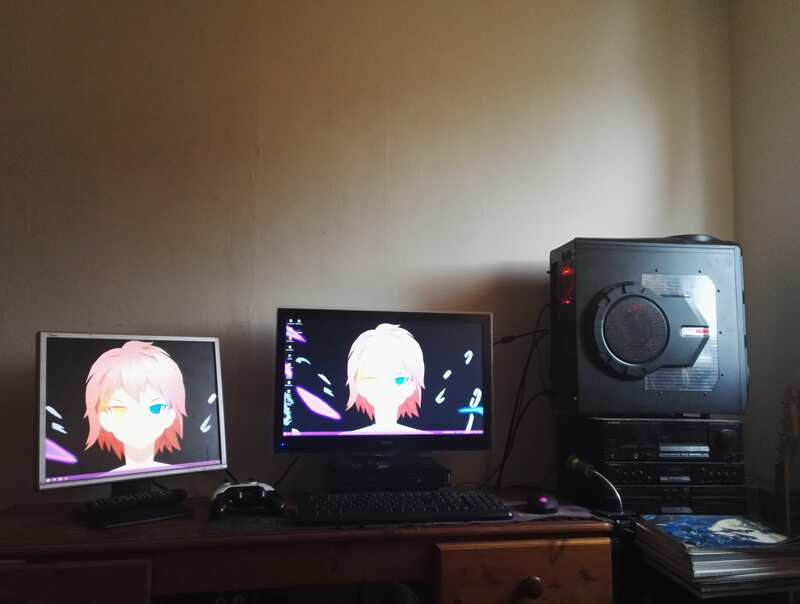 As a fresh start I’ve cleared my old posts out and updated my “initial stats” and here’s a potato pic of my setup. *Avg. Game Completion Rate is taken from c.me for the higher accuracy, the remaining stats are taken from my Steam profile (meaning Games Owned is only counting purchased games and not F2P titles). *Avg. Game Completion Rate is taken from Astats for the higher accuracy, the remaining stats are taken from my Steam profile (meaning Games Owned is only counting purchased games and not F2P titles).